It appears Hideo Kojima’s name along with his production studio haven’t been reinstated on the final Metal Gear Solid 5: The Phantom Pain box art. Noticed by NeoGAF, the new box art for the standard and Day One editions no longer have “A Hideo Kojima Game” listed at the top of the box. 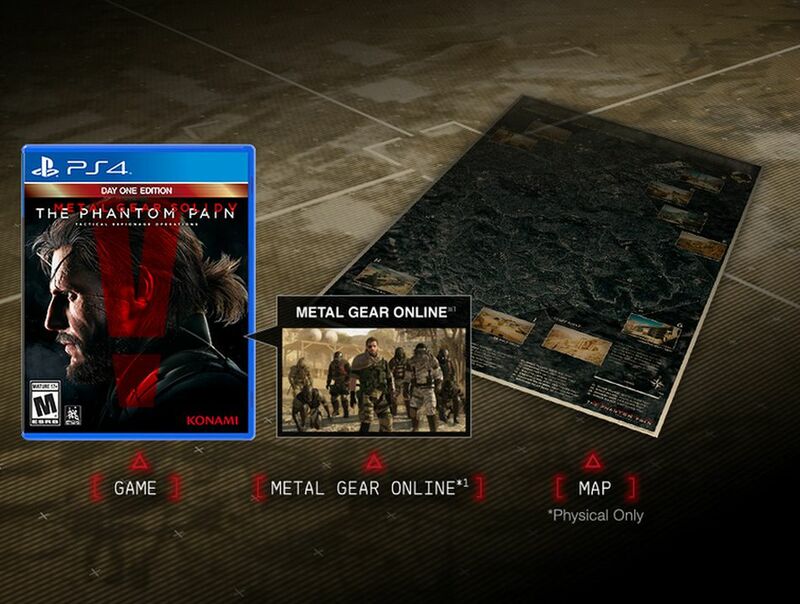 Over on the official MGS 5 website, as you can see via the screengrab below, the images posted by NeoGAF are the same. GameStop has yet to update it’s box art , as the images still note “A Hideo Kojima Game” at the top of the box. After it was revealed in April that Kojima and Konami were parting ways, his name and production company were removed from MGS games, but eventually put back on the Metal Gear Solid Legacy Collection. Metal Gear Solid 5: The Phantom Pain will be playable for the first time at gamescom, which takes place August 5-9 in Germany. The game is set for release on September 1 for PlayStation 4, Xbox One, PlayStation 3, Xbox 360 and on September 15 for PC.